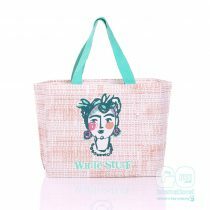 Reliable manufacture from GoJute We manage the whole process, from design to manufacture and printing. 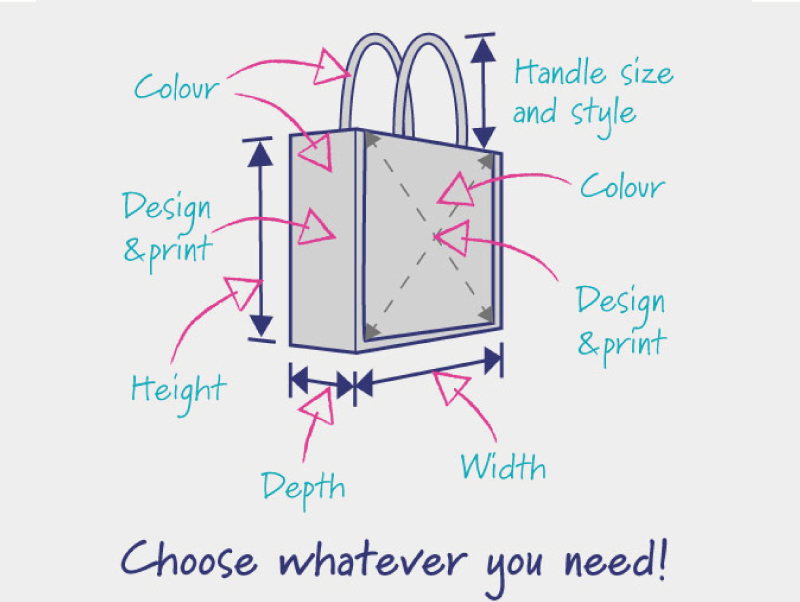 We can create a bag to meet your precise needs or order from our huge stock range. 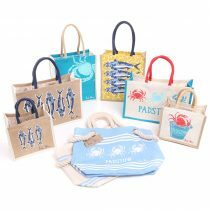 Food and drink specialists Whatever your food or drink product, a made-to-measure jute bag will be a huge enhancement. 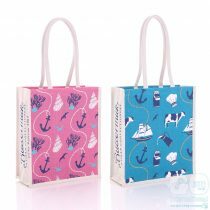 Our wine and beer bottle bags are best sellers and we do small bags which are perfect for gift sets. We even do a large jute hamper. 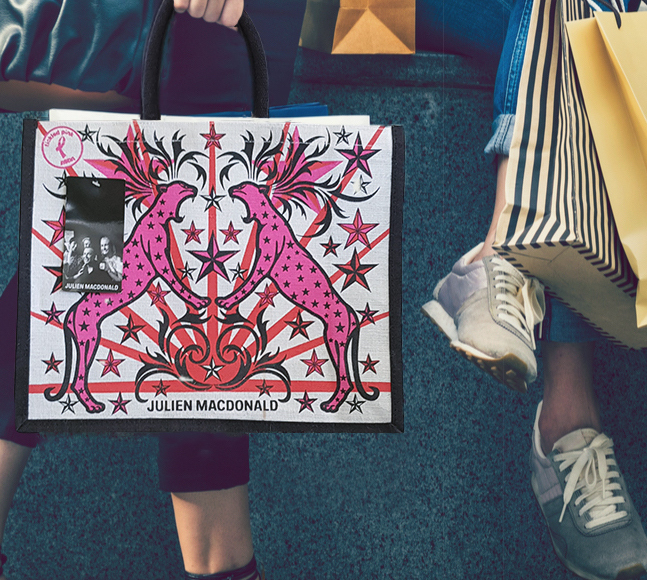 And all can be created bespoke with your branding. 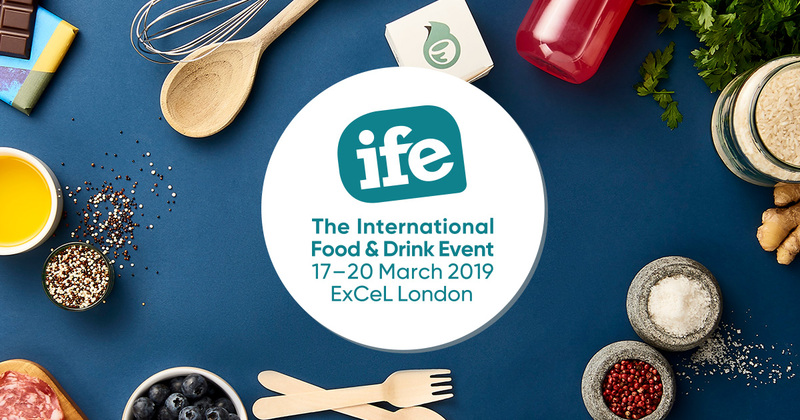 If you met us at the IFE show and we haven't already called you, please get in touch to talk about your needs. Trusted by top brands We are very proud of every customer we have worked with from big brands to local charities. Find out why we are so trusted. 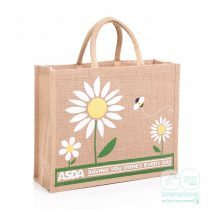 ASDAWe take great pride in working with such high profile brands and appreciate the level of quality that is expected. White StuffMaking it easier for their lovely customers to bag themselves a bargain. 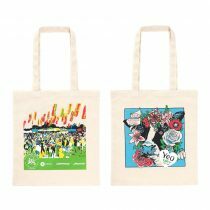 Glastonbury BagsEvery festival goer was given a branded cotton bag to carry all their festival information in, plus a lovely memento! 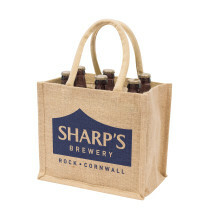 Sharps BreweryThis type of bag is a great way of packaging or displaying multiple bottles of beer. 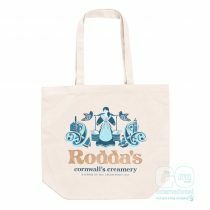 Rodda’sMade of organic cotton canvas, the bag is sold in the Rodda's shop outlets. 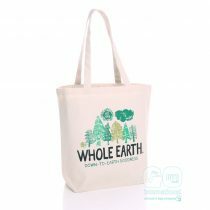 Whole Earth FoodsOur cotton canvas bags were the perfect base for Whole Earth Foods promotional bags, offering a soft but durable surface and featuring a highly detailed print. 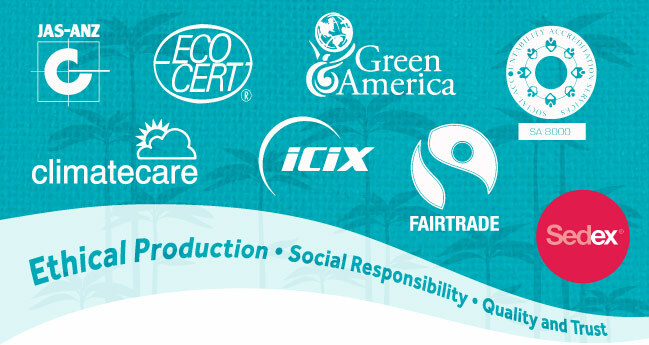 We operate a strict code of ethics throughout the whole production process, which we implement by personally visiting our jute factories, ensuring that our suppliers are ISO 9001/9002 certified and that they adhere to conditions of employment specified by us, as well as our environmental protection guidelines.